It’s Here: Our Brand, New Critics Circle Award! As we carefully prepare for our Awards event in February, there’s already change in the air. First, we are really proud of our new New York Videogame Critics Circle Award. Of course, we’ll miss the old, handmade, spray-painted, super-indie, old school joystick. But it was definitely time for a change. John Azzilonna has designed a brand new award, and we think it looks terrific. There still may be some tweaks to the Award before the big day rolls around next year and we have our big event. For now, we thought you’d enjoy seeing what John has so artfully created. Additionally, we’ve shortened the name of the event itself. It’s no longer a mouthful to say. 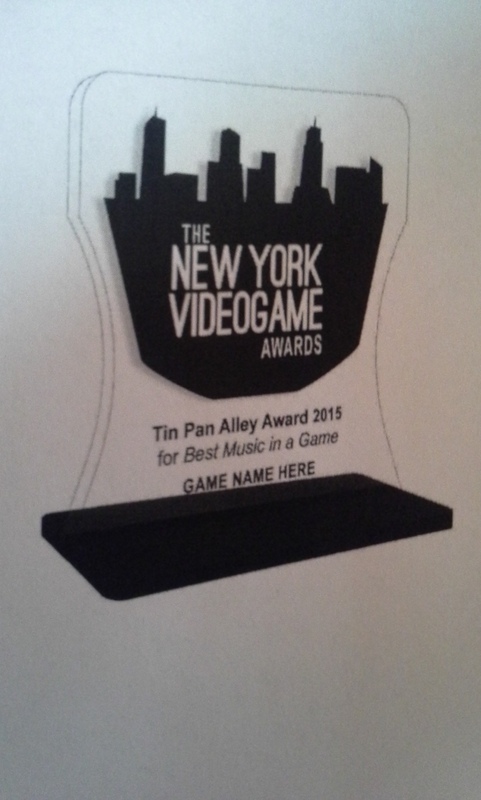 While our group name will remain the same, we’re dubbing our event The New York Videogame Awards. Stay tuned. There’ll be much more news on the Awards very soon! December 15, 2014 in Awards. Reveal: The New York Game Awards Will Return To SVA Theatre On 1/21/20!